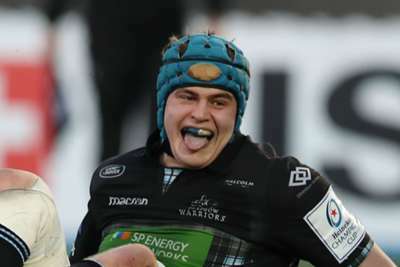 Glasgow Warriors made it five wins in a row on Saturday with a 35-17 victory over the Cheetahs that keeps them top of Conference A. The Warriors have been in fine form this season and sit three points clear of Munster in the table after dominating both halves against their South African opponents. Callum Gibbins, Kyle Steyn and Rory Hughes all touched down for Glasgow in the opening 40 minutes as they opened up a 21-5 lead and, although the Cheetahs improved, they were never coming back. An early try from Joseph Dweba after the restart gave them hope but Stafford McDowell and Scott Cummings scored for the Warriors to wrap up victory number 13 of the season. Munster are hot on Glasgow's tail, though, after an explosive end to their clash with Zebre at Thomond Park. With the scores level Zebre twice saw penalties from Guglielmo Palazzani hit the post, and Munster took full advantage with 26 unanswered points to complete a 31-12 bonus-point win. Surprisingly, Zebre led at the break but Munster scored four second-half tries to come from behind and keep the pressure on Glasgow. Four tries from Dan Evans helped Ospreys edge past the Dragons 29-20 to win their first match since January 5, while Ulster inflicted more misery on the Southern Kings with a 33-19 triumph.